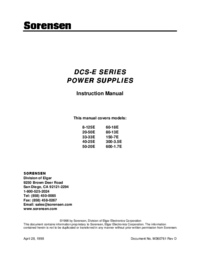 This service manual explains the differences between the 74PM66/12B/15B and the 74PM66/92B/95B (KI). Only the electrical differences are listed. The mechanical differences are not available as spare part. 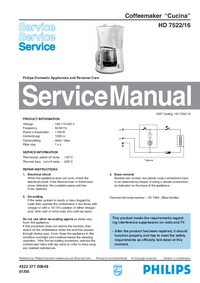 All other information is described in the service manual of the model 74PM66/12B/15B (Code number: 4822 725 51119). 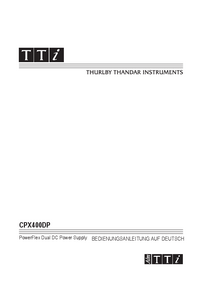 The dispatch of the parts for after sales service has to be referred to this service manual, with the first priority. 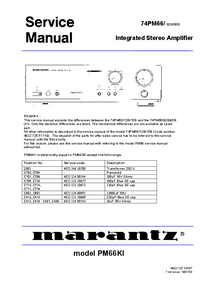 For this reason, please use this service manual with referring to the model PM66 service manual without fail.